What is a sales engagement platform anyway? Marketing and sales are new disciplines in the cannabis industry, which is eager to optimize both. So far, the cannabis economy has largely been event-based. It responds dramatically to the passing of legislation and, with liberalization erratic and geographically scattered, the subsequent sales have created an unpredictable market volatility. California just recently approved recreational use of marijuana, but Arizonans defeated a similar proposal. Both results drive lobbyists and private interests in different directions, and the subsequent sales ups and downs affect attempts to form marketing strategies. The spread of legalized medical and/or recreational use of marijuana will foster new marketing models at both the B2C and B2B levels. Investors and entrepreneurs know this, and they're seeking the latest in intelligence and innovation to convert marketing to sales. Thousands of them descended upon the Marijuana Business Conference and Expo in Las Vegas last week. Many of these businesses should consider proven, outside industry sales acceleration trends and tools to leverage for cannabis B2B sales. Writing for Forbes, Ken Krogue, the guru of inside sales, discussed a crucial difference between customer relationship management and sales acceleration. CRM systems are indispensable for their help in organizing a sales process, he explained. Sales acceleration calls on technology to speed up the sales process. According to Krogue, "New research… shows that companies spent $12.8 billion on sales acceleration technology last year in North America, which is $2,280 per sales rep."
I recently published a story for Entrepreneur that offers a calculation to determine the velocity of sales. Now, there is a caution built in here. That is, no two businesses are the same. For example, the sale of a consumer item takes a much different approach from the sale of a service. But, with that understanding, we can examine some trending sales acceleration applications. iMeet by PGI focuses on creating video and audio engagement for partners and prospects. It is a meeting technology that enables dynamic meetings among sales staff members, between C-suite leaders and sales staffers, and between sales teams and prospects throughout the world. One reviewer at g2crowd.com said, "It is a brisk and basic approach to take in somewhat more about the general population you're working with and can be a major help toward manufacturing more grounded associations with customers." Where is the sales acceleration here? iMeet reminds you that collaborative work shortens time-to-market. Innovation and morale also tend to increase at live meetings, even if they are held at a distance. PGI CEO Ted Schrafft boasts, "We provide a collaborative advantage to nearly 50,000 enterprise customers, including 75% of the Fortune 100." And, PGI's iMeet Narrate is designed not only to enable collaborative meetings, but also to create reusable sharing materials. Showpad emphasizes the accelerative value in alignment among sales teams and between sales and corporate goals. It's a sharing tool intended to keep everyone in sales on the same page. It puts everything sales teams or sales reps need in one accessible place that updates, reminds, and exchanges relevant marketing content. In creating and sharing a controlled message, management has confidence that all its content is accessible in the field. It includes a reciprocal element that measures how and when the content is being used and working. Paul Batten, Xerox's global sales enablement management manager, said,"With Showpad, Xerox was able to organize content more effectively. The sales team could then access collateral more easily and efficiently." Accent Accelerator markets itself as "sales enablement platform." For one thing, it maintains a central library of presentations, brochures and collateral materials. Analytics report the library access and usage as research into what works and doesn't. It's just-in-time 24/7 accessibility informs and enables salespeople to sell quickly and efficiently. It also drives productivity with dashboards and leaderboards reporting news and progress toward revenue goals. And it engages users in collaborative communications. 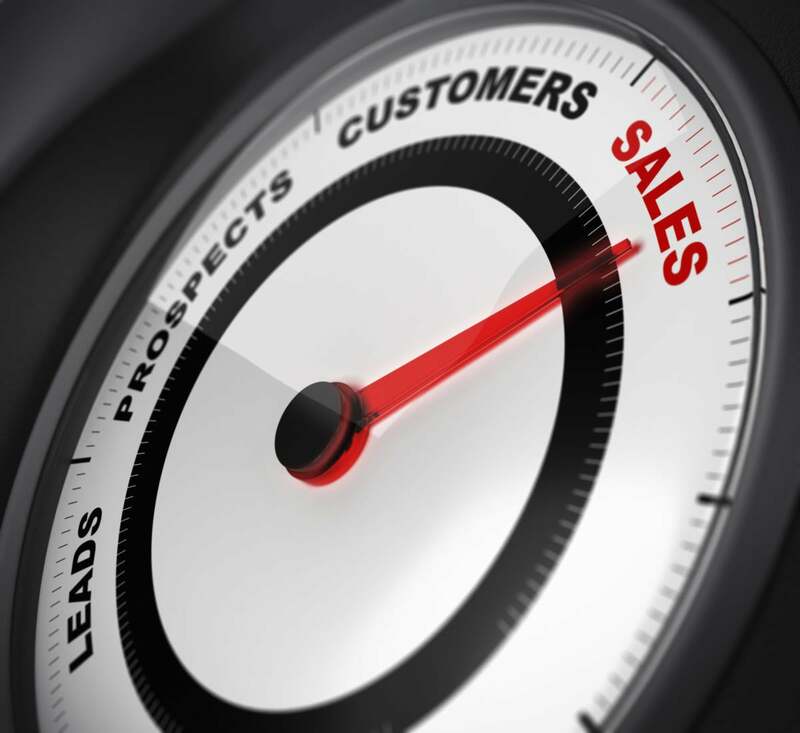 Writing for Quintain Marketing's blog, John Shea notes, "Most businesses know by now that sales enablement can have a huge impact on revenue and sales effectiveness." On a practical level, "it boils down to CRM, content management and sales rep time management." Accent Accelerator organizes all these elements into its "all-in-one sales enablement platform." Brain Shark Accelerator is an outcome of the alliance between Brain Shark Inc. and Highpoint Inc. The partners believe that sales productivity begins with the process of onboarding newly hired sales reps.
Gary Korpita, assistant vice president of sales training at Colonial Life, says, "Our sales training effectiveness [improved] and resulted in less time wasted for sales managers." A global leader in file transmission, Cleo claims Brain Shark helped increase lead conversion rates by 156%. But Shane Phair, Cleo's director of business development, also points out that the system feeds back data on customer engagement. ConnectAndSell is focused on speed. It promotes its software as "conversation enablement technology." It's focused on beating the odds of reaching a decision-maker in B2B sales. ConnectAndSell uses a network of trained callers who act in your place to work around secretaries, gatekeepers, and other administrative barriers to your making contact. As soon as your "virtual assistant' makes the targeted contact, the sales person moves into the conversation. Mike Damphousse, writing a review for SmashMouth, exclaims, "ConnectAndSell is what we thought -- an autodialer on steroids, topped off with humans guiding it. It's actually like an outbound sales control room with prospects popping up every couple of minutes for a pitch. It's intense." You don't want to confuse customer relationship management software with sales acceleration. Quality CRM systems will certainly organize sales methodology and records to aid and expedite sales management for cannabis brands. But, sales acceleration belongs to new technologies focused on facilitating and expediting the sales process from beginning through close. In the cannabis industry, that means everything from seed to consumer. While CRM keeps and arranges all the records for tracking and reporting, it does not proactively make sales happen. And with new, legal markets opening, sales and marketing are becoming even more of a priority for cannabis brands. So, you might recognize "sales enablement" as a management platform. Programs that enable meetings and content access do benefit B2B cannabis sales by sharing and updating product and experience, and will likely speed sales. But research seems to show that, if the product doesn't promote itself as an "accelerator," it's not what you're looking for. It's likely to be a while before cannabis is sold to consumers by phone. But the industry already sees sales efforts increasing on a B2B basis with growers, developers, security providers and many more links in the supply chain trying to contact and sell each other. Marketing and sales are such new worlds to the cannabis industry that vendors need research and advice on the most sensible sales training, integration and technologies available.